Located just southwest of Old Town, Bahama Village is a 16-block area off the beaten path in Key West that many tourists overlook during their stay. But if you’re into Florida Conch architecture, good eats and an interesting history (including what was formerly a boxing ring where Papa Hemingway used to referee, now restaurant), the neighborhood is worth a daytime visit. Bahama Village was originally a marginalized part of Key West, named after the Bahamians and people of the Caribbean who settled in the area seeking stable incomes in the 1800s. The neighborhood has changed since then, but still retains the flavors of its cultural past -- each year before Fantasy Fest it hosts The Bahama Village Goombay Festival, which celebrates Caribbean roots with music, marching band parades, dancing, and of course, jerk chicken. Today, the neighborhood boasts some of the best restaurants on the island, including the iconic Blue Heaven restaurant. The eatery features Caribbean culinary influence and was once home to Friday night boxing matches refereed by Ernest Hemingway. Guests can enjoy some of the freshest food on the island at Blue Heaven amongst the free-roaming chickens and cats, something uniquely Key West. If you decide to dine at Blue Heaven, we suggest you make a reservation ahead of time. If you’re looking for a smaller place to have a drink and pass time while in Bahama Village, do check out Santiago’s Bodega, a cute little spot that serves great tapas and sangria. It’s a charming place to people watch and take in the beat of the neighborhood. During your daytime stroll, make sure to check out the Blue Macaw Island Eats at the corner of Petronia and Whitehead Streets, a DIY bloody mary bar and a small flea market, as well as kiosks. 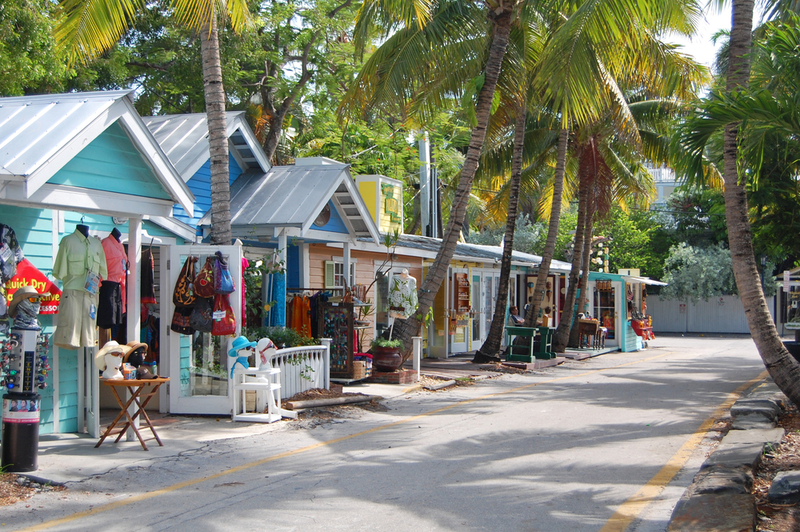 Bahama Village is just a short walk from Old Town and is a important part of what makes Key West so diverse. Enter the village where Duval Street meets Petronia Street, swing by Kermit’s Key West Key Lime Shoppe and ease into the laid-back feel of the neighborhood. Ready to join us in Key West? Find our best deals here.